For those who are looking to build your own halo miniatures to play your battles, there is a possible option: Infinity. 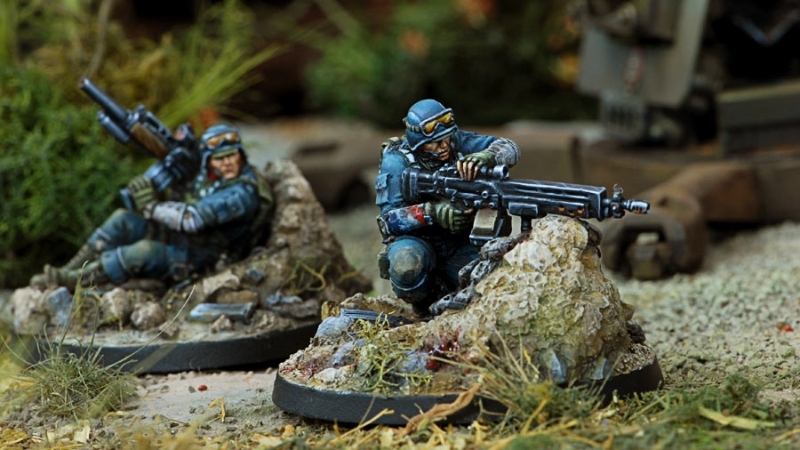 This game from a Spanish manufacturer has one of the best sci-fi miniatures in the market, and with some minor changes you can convert those miniatures into halo characters. Size comparison of the models, infinity model in the middle. I planning to use some of those to represent the insurrectionist (and of course create some stats cards for them), and also to use some models to represent special Spartan characters for the game. I'm bringing your attention to these models (and being hones, is a fun game), because some of you may find more entertaining to build your own miniatures instead of looking in ebay for models, and here is an interesting option for your games.